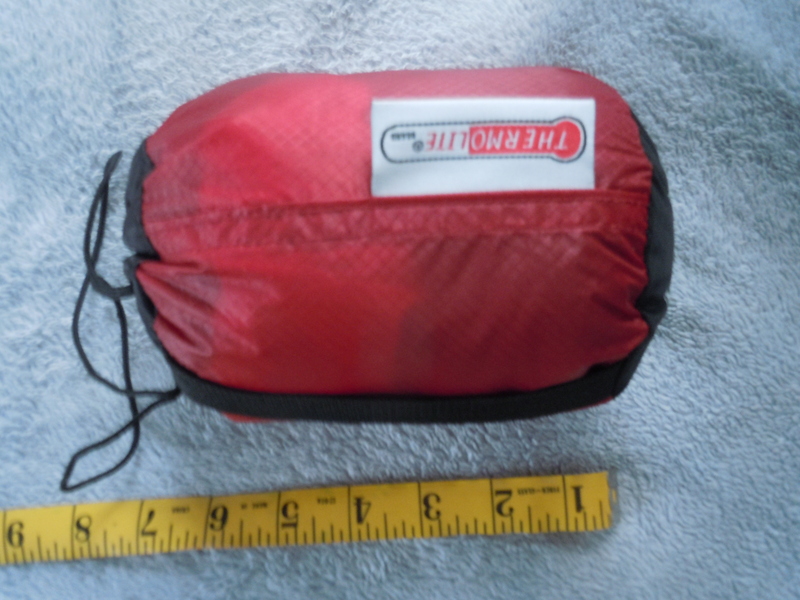 This is a two person tent weighing in at 4 lbs 3 oz. 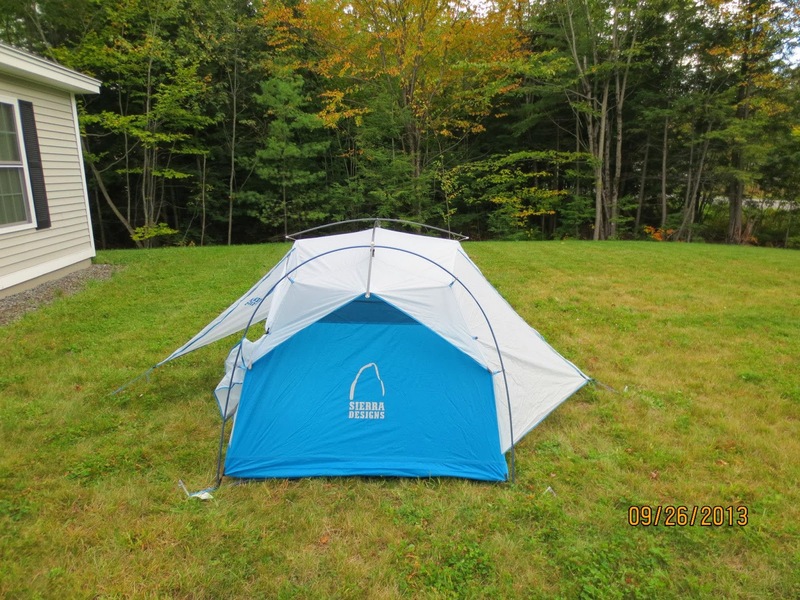 This hybrid design combines single and double wall tents, creating a lightweight system without giving up the comforts of a double wall tent. Features include two doors with vestibules for storing equipments, external poles for quick and dry setup in the rain, and is free standing, making setup simple and viable in many terrains. 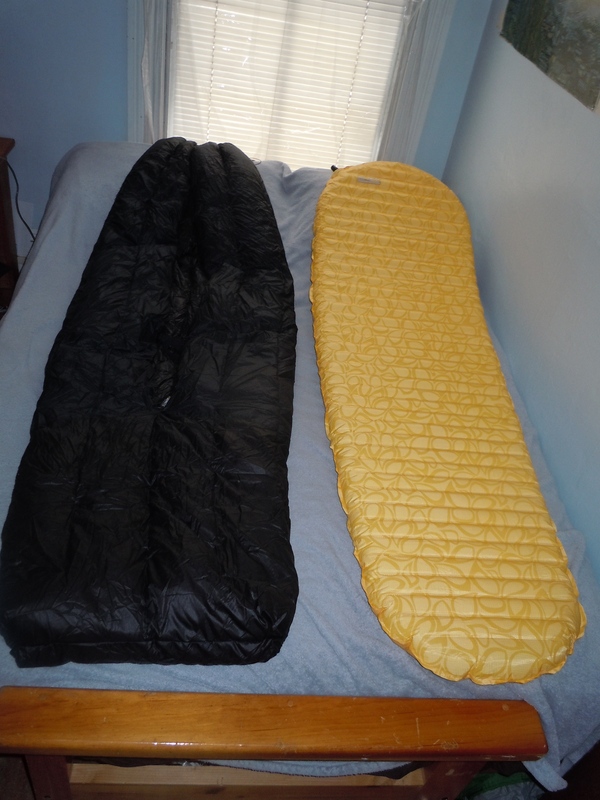 I will be carrying the tent poles, ground tarp and stakes, while my hiking partner will carry the tent body. 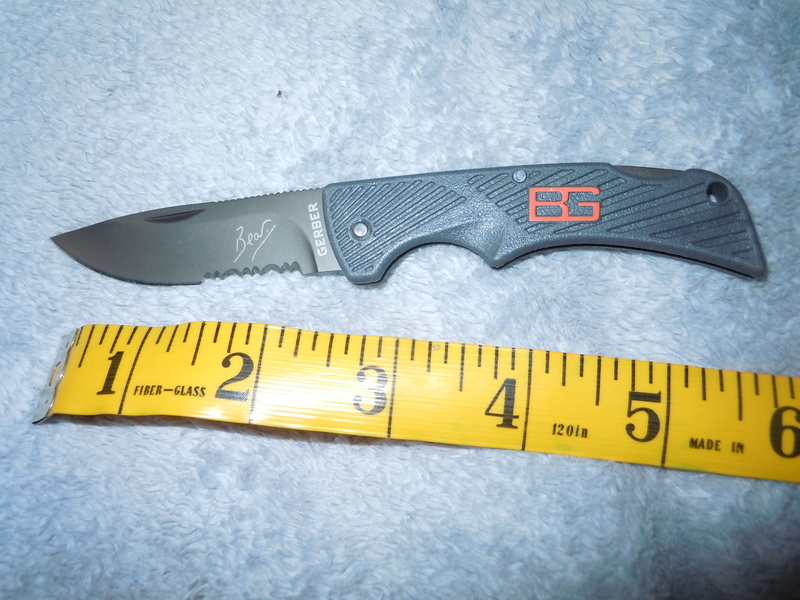 My carry weight will be 25 oz (708 g). 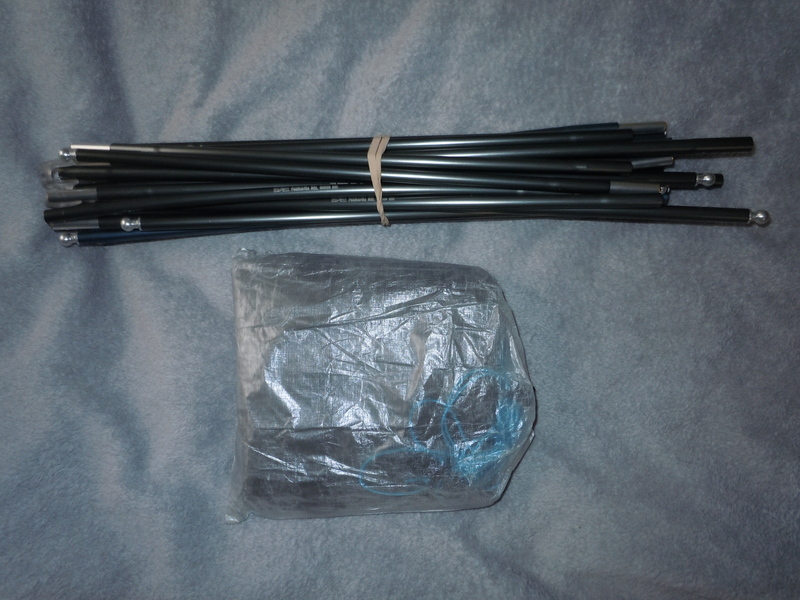 Ground tarp, stakes and poles. 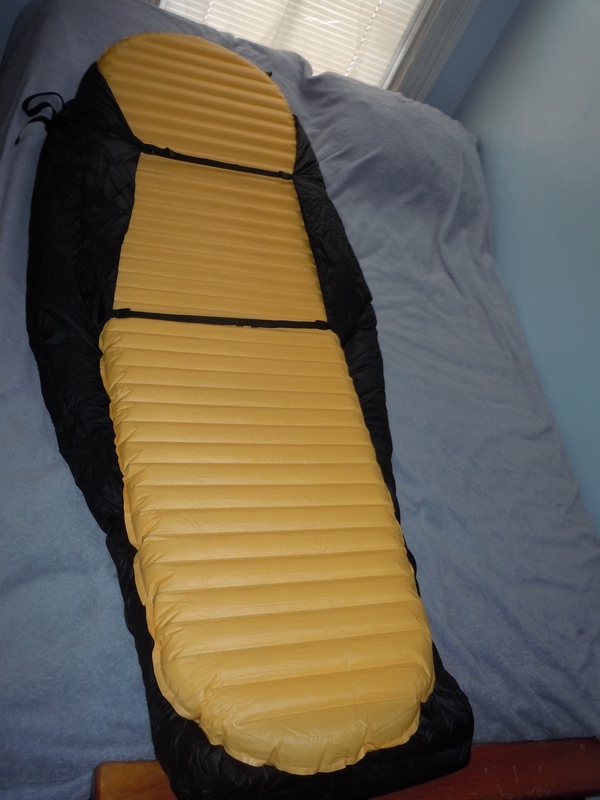 This sleeping pad is specifically designed for women with a higher ‘R’ value (3.9), meaning the insulation will hold your body heat better, keeping you warmer as you sleep. 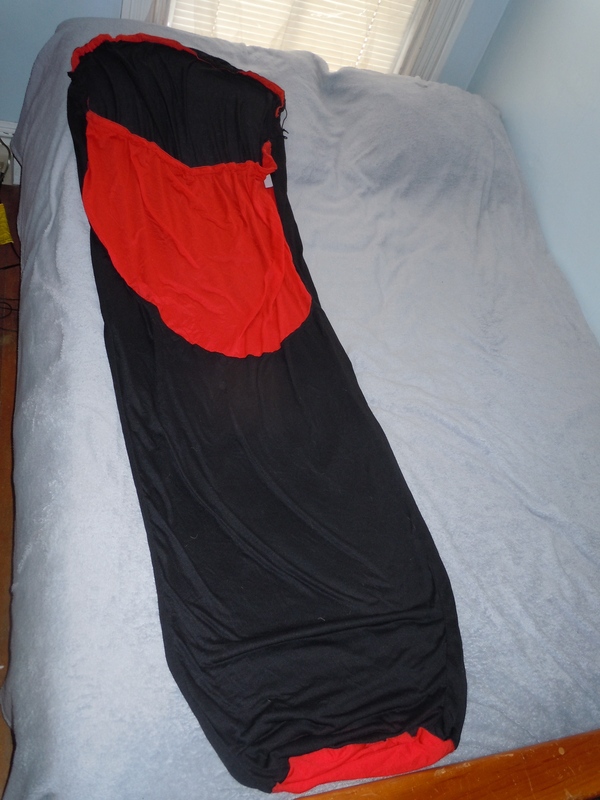 This is great since I, like most women, sleep cold. 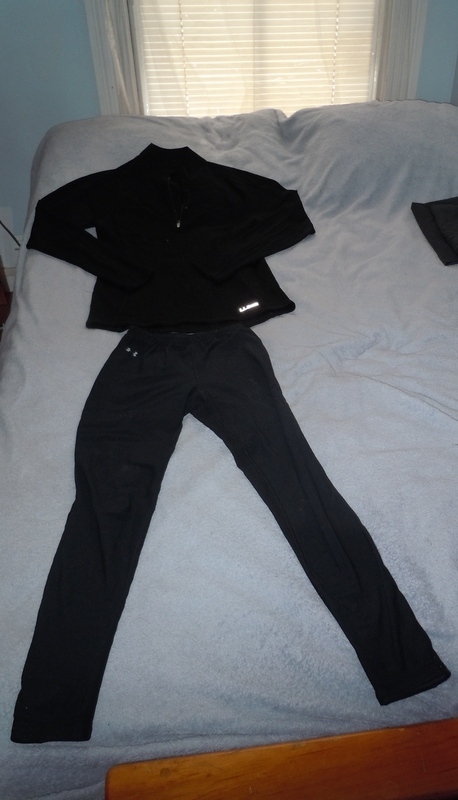 This pad uses a reflective layer to keep out the cold from the ground and return your body heat back to you. 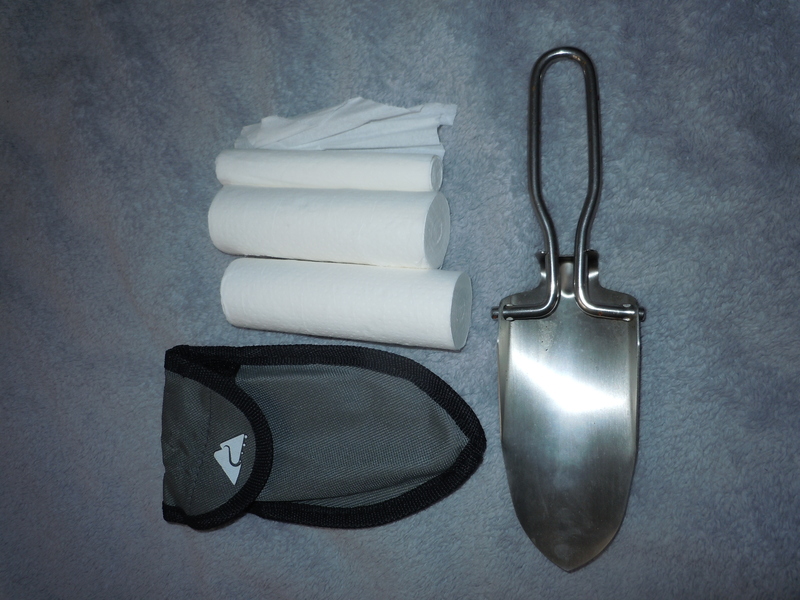 The pad weights in at 12.3 oz (349 g) with the stuff sack and repair kit. 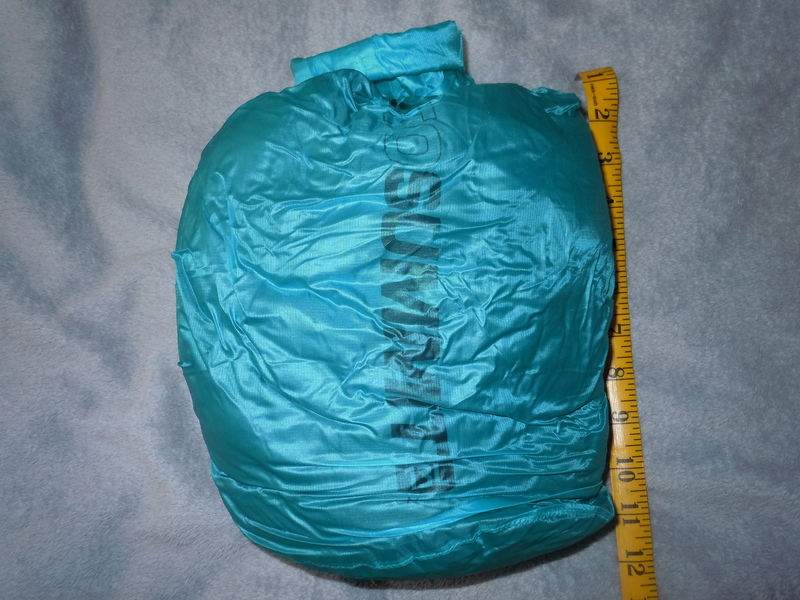 Sleeping pad in stuff sack. 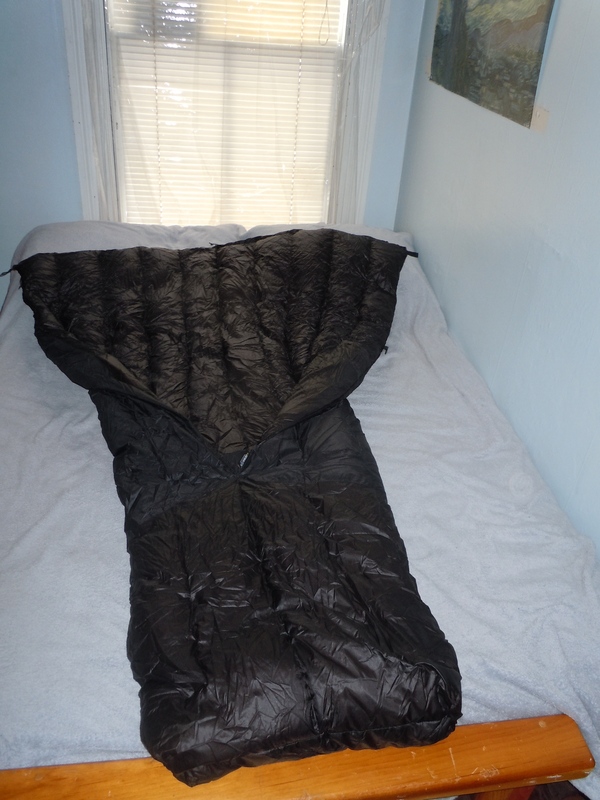 Bottom side of sleeping pad with quilt attached. 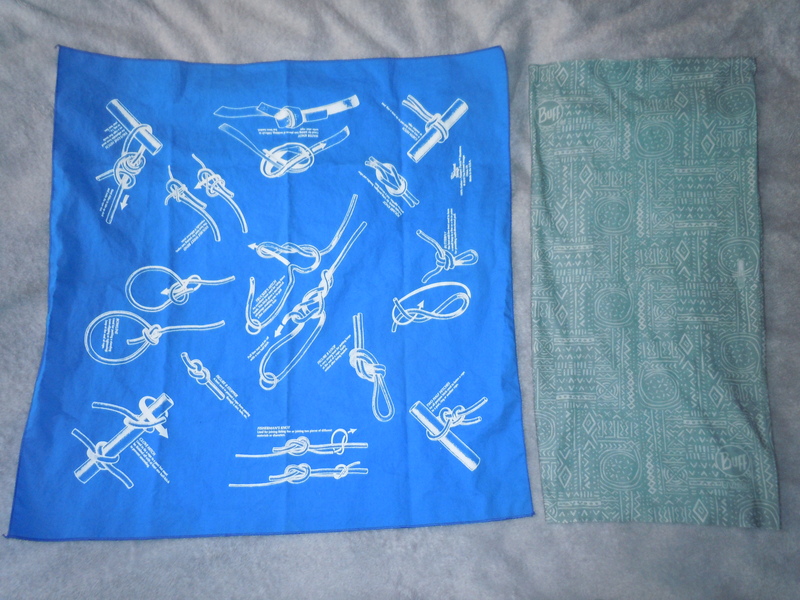 Top of quilt next to stuff sack. The Enigma bag is made with 850 fill water repellant DownTek treated goose down. Having a water repellant fill is very important since the AT is very wet. Keeping the bag dry is essential to staying warm. 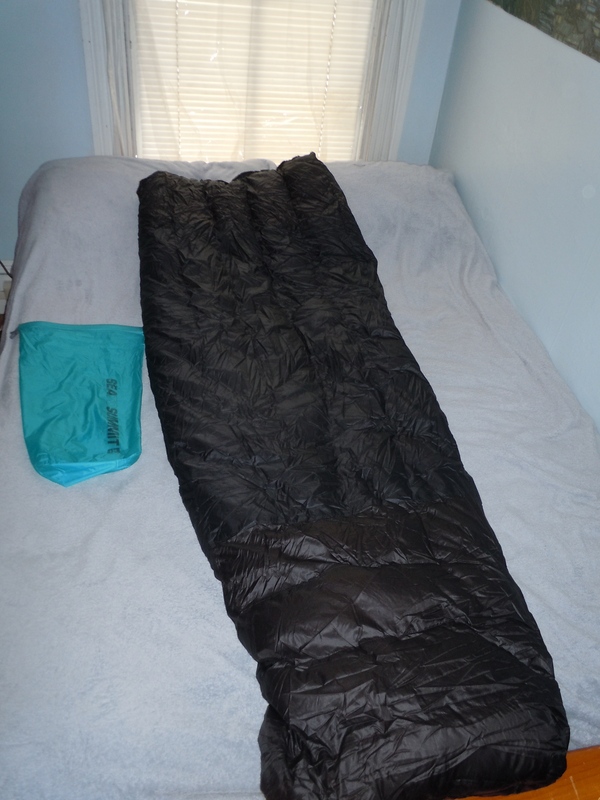 Using a quilt paired with a sleeping pad saves weight and backpack space over the traditional bag. 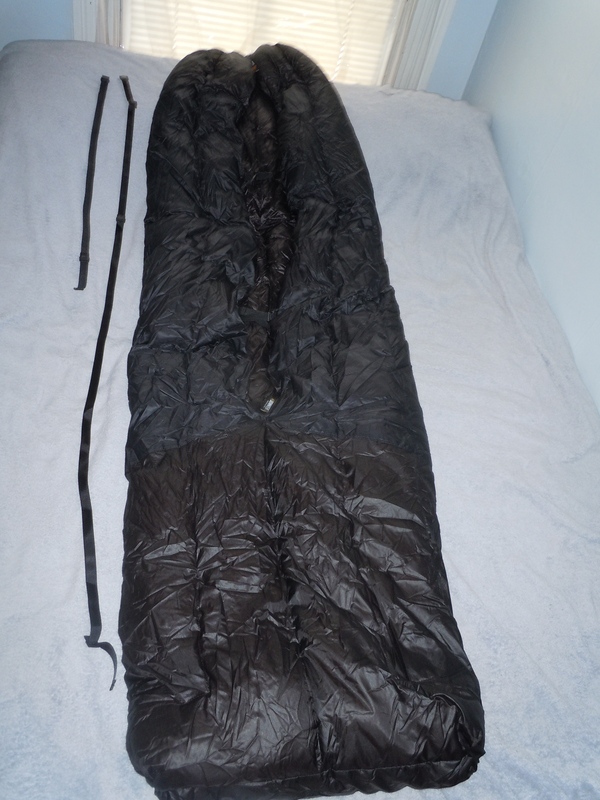 Features include a removable understrap system to hold the bag in place, a shiftless baffle system (how they sow the bag) to keep the down in place and a flat foot box, eliminating the need for a zipper and saving weight. 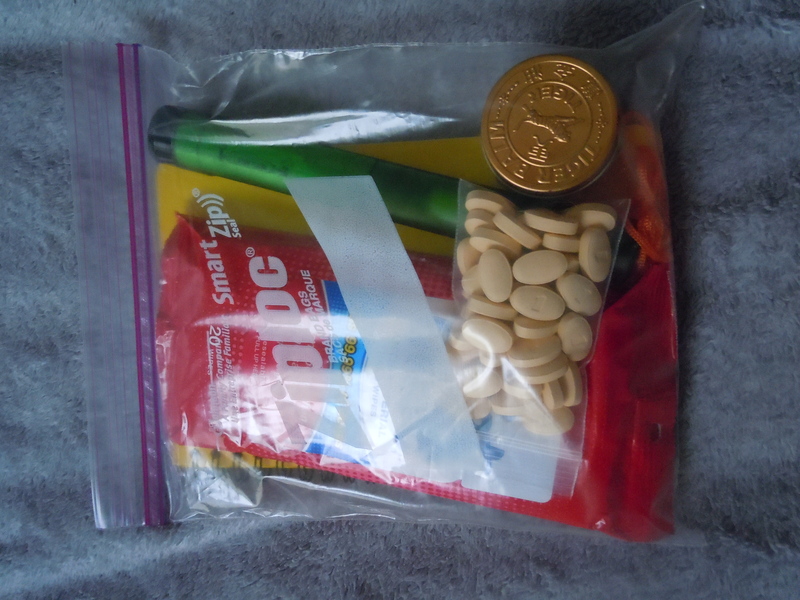 This bag weights in at 15 oz (404 g). Yes, just shy of a pound! Back of quilt with straps for holding in place. 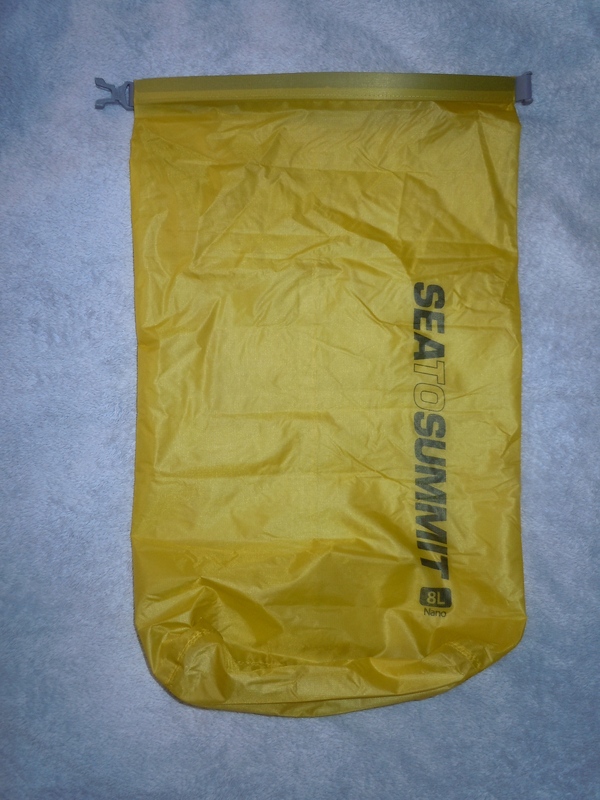 Quilt inside Sea to Summit waterproof stuff sack. I will be using a liner in the spring and possibly fall months. 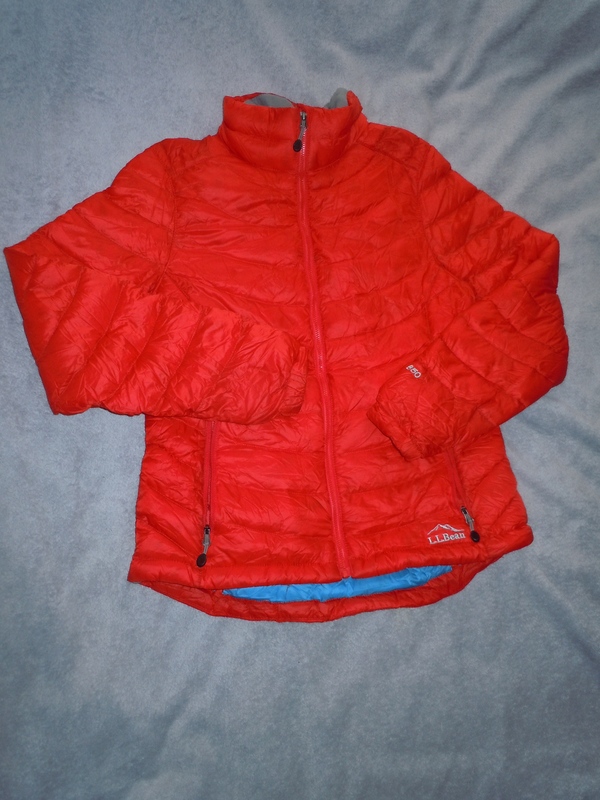 This liner adds up to 20 degrees F warmth to my sleeping quilt. 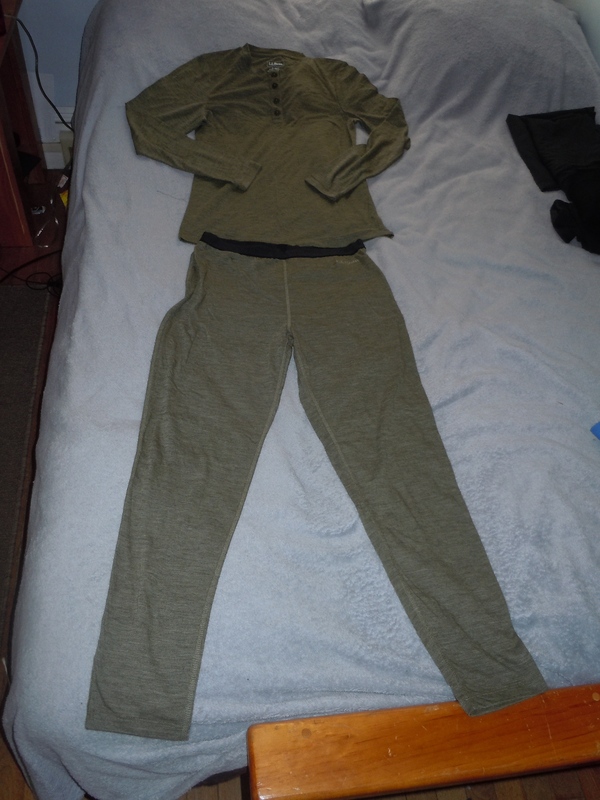 This will bring my temperature rating down to 10 degrees F. Features include a drawcord hood to seal in the warmth. 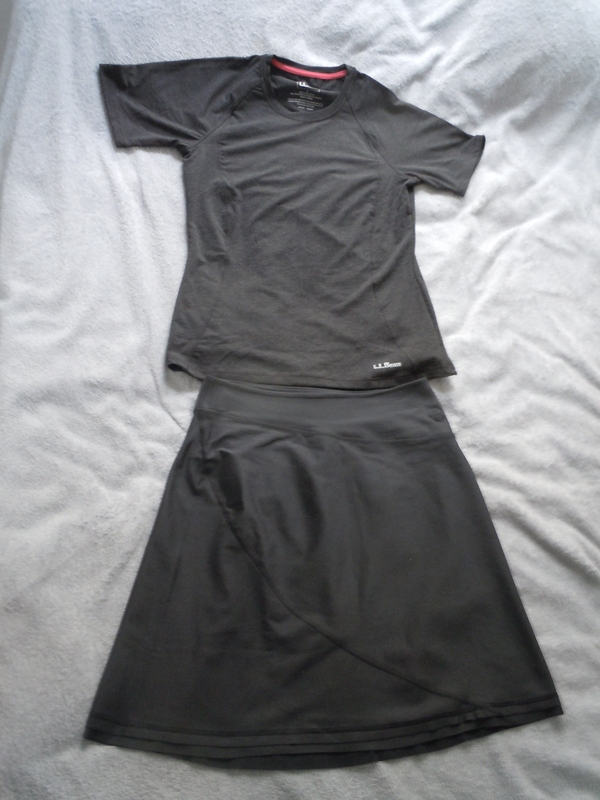 Made with polyester, this liner weighs in at 9.3 oz (264 g). 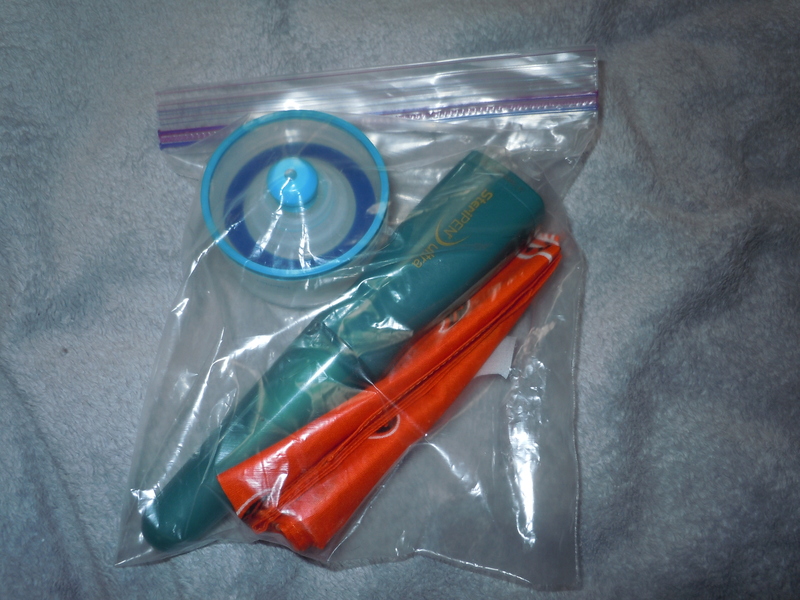 Liner in a stuff sack. I have had this stove for a few years now. It is very reliable and easy to use. 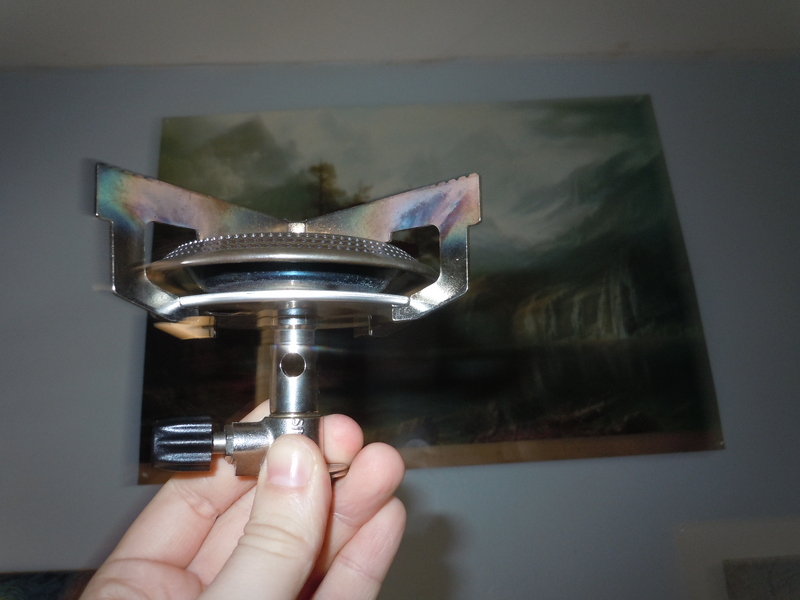 The stove is fueled by isobutane, which is a common fuel used by backpackers. I should not have any difficulty finding isobutane along the trail. The stove weighs in at 8.6 oz (244 g). I have had this pot as long as I’ve have the stove and it has always worked great for me! 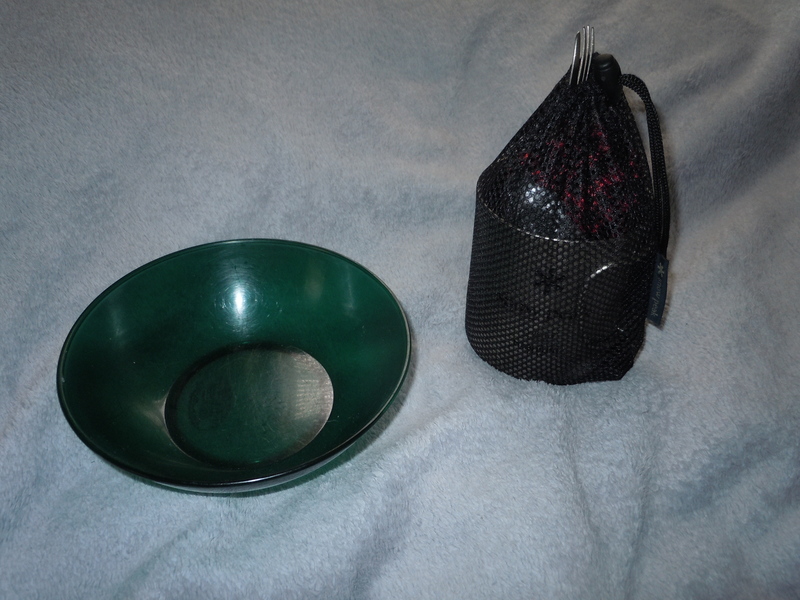 It holds one liter and weighs in at 7.6 oz (216 g). 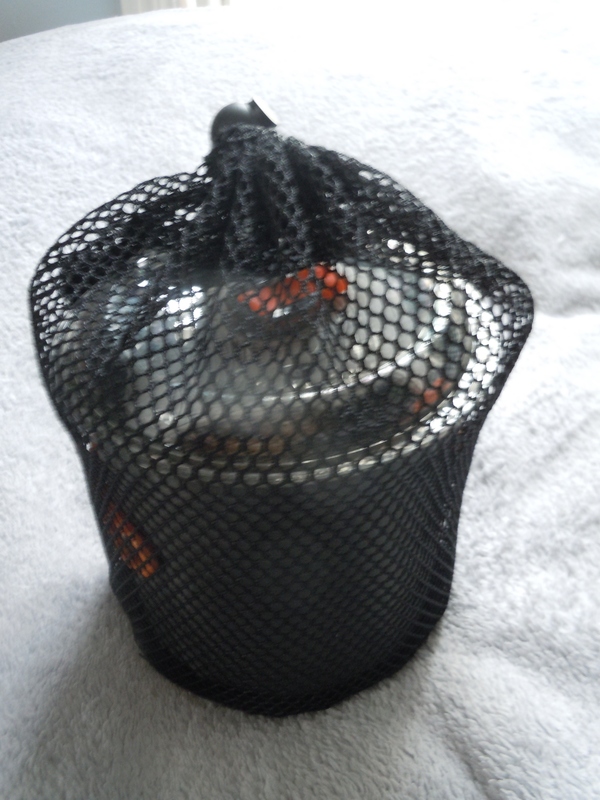 I’m also bringing spices; salt, pepper, garlic powder and paprika to add some taste to our dehydrated food. For a firestarter, I am bringing matches, a lighter AND a magnesium/flint striker. 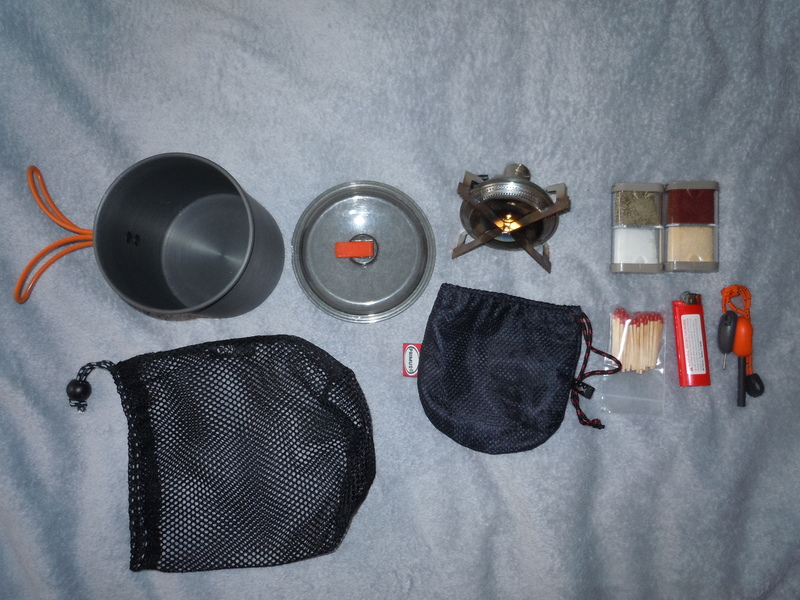 The spices, firestarters and mesh bag weigh in at 6.1 oz (173 g). The entire stove package is 22.3 oz (632 g). Pot, stove, spices and fire-starters all bundled up! 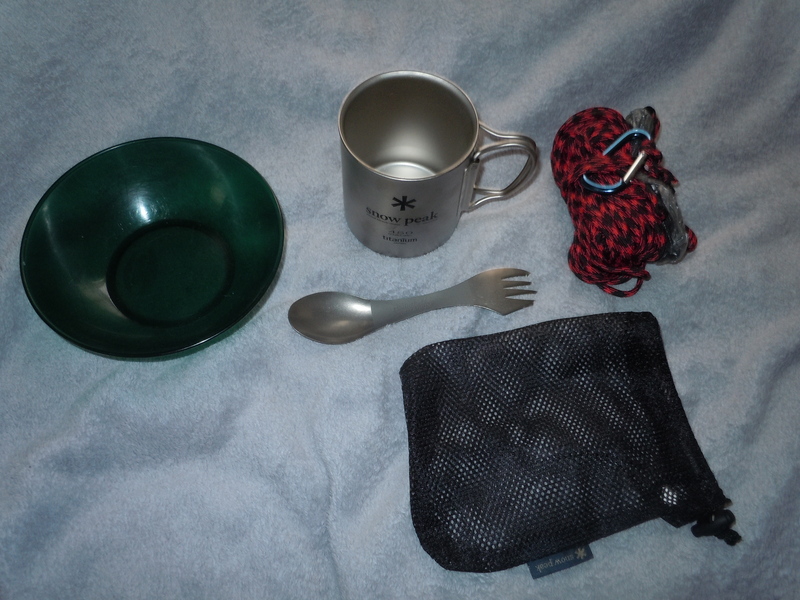 To eat with, I’m bringing an old plastic bowl, a Snow Peak Titanium Cup and a Light My Fire Spork. 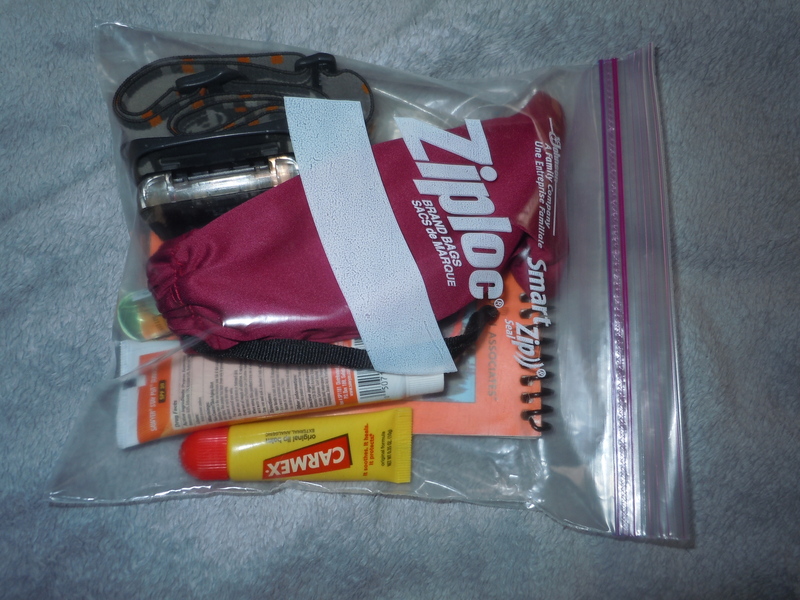 I’ve also included our bear bag in this kit since it fits so nicely into the mesh bag. My utensils all bundled up! 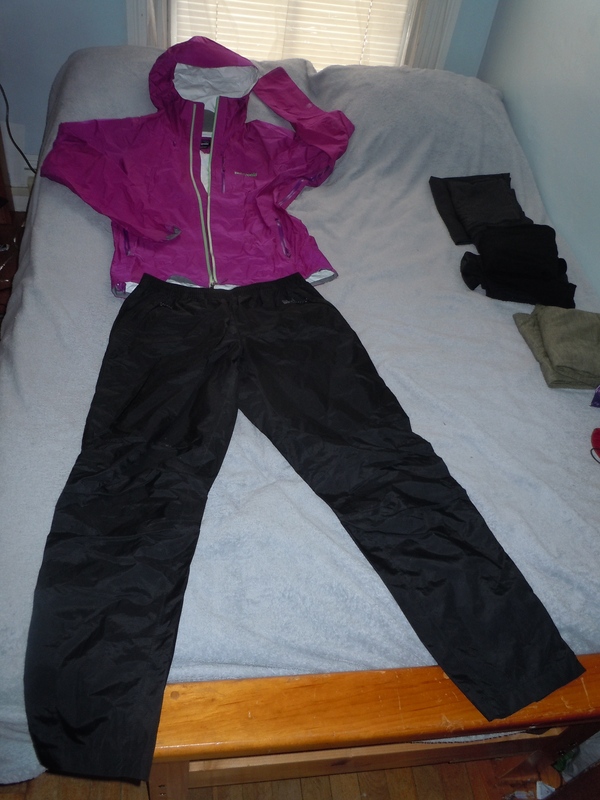 Rain Jacket and Rain Pants. 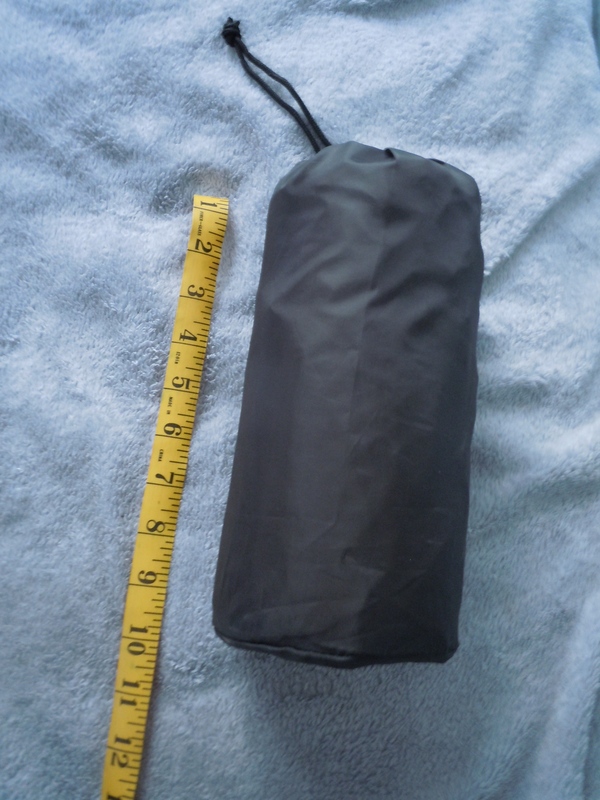 Waterproof stuff sack for my clothing. 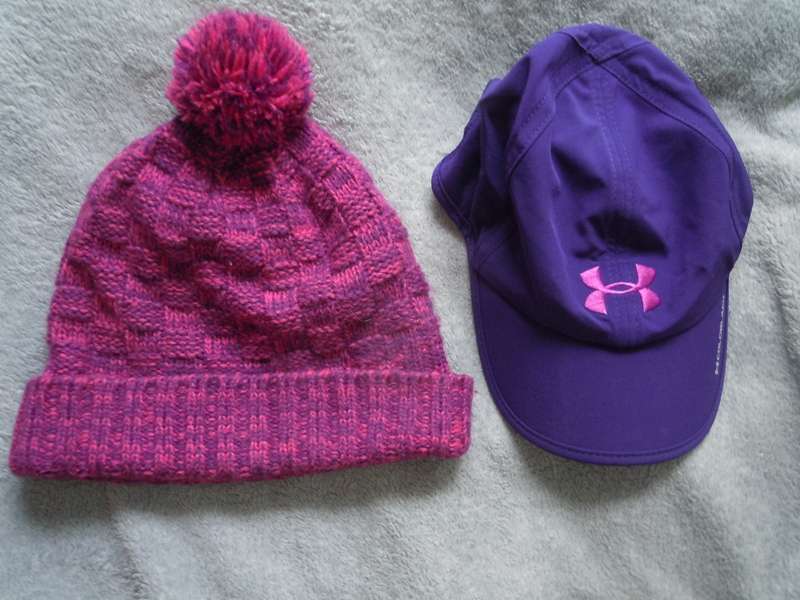 Winter hat and sun hat. 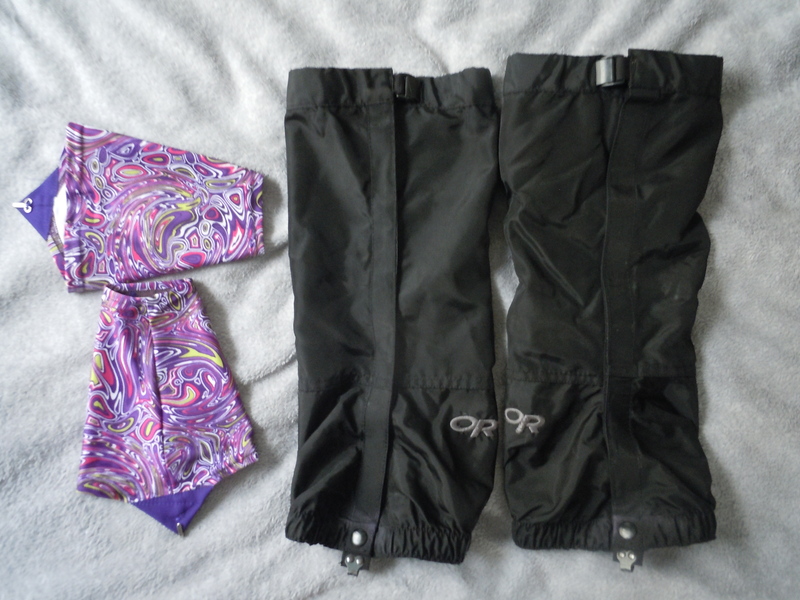 Dirty Girl Gators (left) for the summer and Outdoor Research Gators (right) for spring and fall.